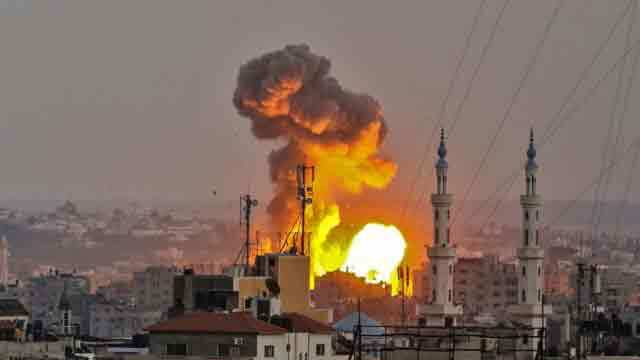 Gaza, July 21 (Just News): Israel has attacked military targets in the Gaza Strip, after its soldiers came under gunfire at the border. "With Egyptian and United Nations efforts it has been agreed to return to the era of calm between (Israel) and Palestinian factions," Hamas spokesman Fawzi Barhoum told Reuters news agency. Following Friday's clashes, the UN's envoy for the Israel-Palestinian conflict called on all sides to "step back from the brink" of war. "Everybody understands that unless the situation is defused we will very quickly be back to another confrontation," said Nickolay Mladenov. "I expect all parties, all sides to do their best right now. Not next month, not next week, right now, to prevent this escalation." Mr Mladenov called specifically on Hamas and Islamic Jihad - the two largest militant factions in Gaza - to end the launch of rockets and prevent attempts by Palestinians to breach the border fence. The past week had seen efforts to try to keep the situation under control, but Israel's Defence Minister Avigdor Lieberman warned on Friday of a "much tougher" response against Hamas if continued to fire rockets from the Gaza Strip.